I first started thinking about and working on launching GO Fresno nearly three years ago. From watching my own family and the thousands of families I served as a classroom teacher and a principal, I have seen first-hand the transformative power of a world-class education. My research and work prior to launching GO Fresno convinced me that to truly help every child meet their full potential, we need more than just a small set of changes to our existing education systems. We need a complete re-thinking of how and why we run public schools. The reality remains that — despite the amazing hard work of thousands — far too few of our young people have access to a world-class education that prepares them for the future. To truly be prepared to thrive in the 21st century, we need thousands of parents, educators, and leaders to stand up together and build schools today that will educate the leaders of tomorrow. We launched GO Fresno to help create this reality, and I’m so proud of the progress we’ve made so far. 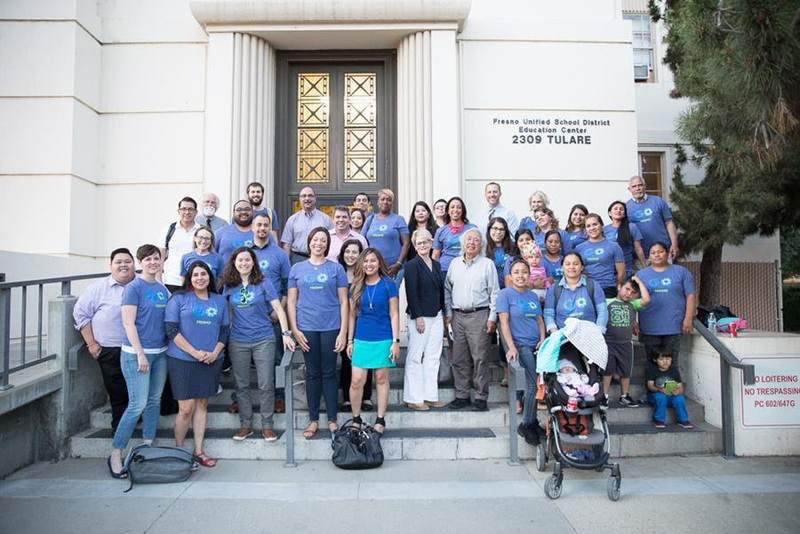 GO Fresno — and the network of leaders we are building — is an important part of the broader work happening in Fresno to make sure every child is truly prepared to thrive in an ever-changing world. I’m writing today to share that I will be transitioning from my role as Executive Director on September 1, 2018. But this is not goodbye — I will become a member of the GO Fresno Leadership Council alongside amazing parents, educators, and community allies to support the work of GO Fresno’s amazing team into the future. The very talented Rachel Kuhtz — with support from Leadership Council and the GO California team — will lead GO Fresno in the interim as we begin our search for a new Executive Director. Rachel is a former Fresno teacher with more than a decade of experience, who has worked at one of the most innovative schools in the state — The Center for Advanced Research and Technology (CART) — and was an active leader in our work this past year. I will be joining Transcend Education — a national nonprofit consulting firm — that will build on my work in Fresno and allow me to work closely with schools and districts across the country that are working to redesign the purpose and structure of schools. My wife and I will continue to live in Fresno, send our daughters to public schools in Fresno, and give back to the city we love. This work has never been more urgent. The world around us is changing rapidly, and Fresno will either transform and leapfrog into the 21st century, or fall even further behind. I remain as convinced as ever that we must build the courage to transform our school system and empower educators to help lead this charge, and that organizations like GO Fresno are well positioned to do exactly that. We also need people who can help us in designing and leading these schools, something I have done before, and I’m excited to get back to. Developed the Choosing Our Future recommendations, which were accepted with a nearly unanimous vote by the Fresno Unified Board of Education. 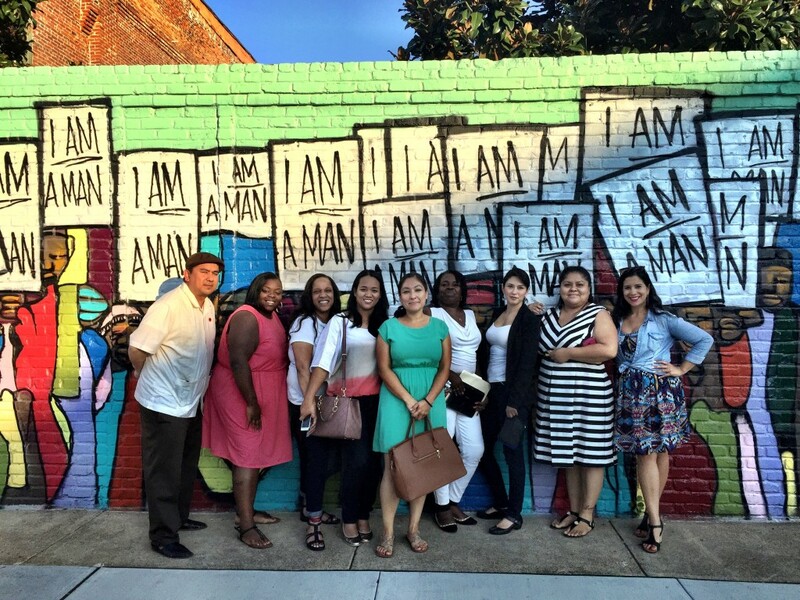 Trained and supported more than 100 leaders — parents, educators, young people and community allies who have come together and led in meaningful ways this past year. Shifted the narrative to focus on honest and real dialogue centered around data to drive authentic conversations about what is needed. While we’ve had many accomplishments in partnership with parents, students, and educators, I recognize that so much work remains. The board has accepted the Choosing Our Future recommendations and directed the Superintendent to engage stakeholders about moving them forward. But the hard work of adopting board policies and changing district practices to support these fundamental improvements has just begun. We need to continue the work of bringing the community together to support school leaders and teachers to actually create this change. We would love your support as GO Fresno begins a search for an Executive Director who can continue this critical work. While we search for our next Executive Director, Rachel, Ray, Karina and Angela are prepared to drive forward on all of our goals with the support of our Leadership Council and the GO California team. Joining the GO Fresno team this month as Communications Manager is Angela Martin — a Fresno Unified and Fresno State grad with a deep passion for transforming public schools to better meet the needs of all students. Selecting GO Fresno’s next Executive Director is important, and we are going to take our time to make sure we make the best choice. If you know of a great candidate, please encourage them to email a cover letter and resume to fresnoed@gopublicschools.org. Thank you for joining us in this work over the last couple of years. I look forward to continuing to working with you in service of Fresno students and public schools.